Battery LG BL-44JH P700 Optimus L7 3.7V 1700mAh Li-ion bulk. .. Battery LG BL-49KH P930 Nitro HD 3.8V 1830mAh Li-ion without packing. .. Original Battery LG BL-T7 D802 G2 (Bulk) .. Battery LG FL-53HN 1500mAh Li-ion για LG P920 Optimus 3D without packing. .. 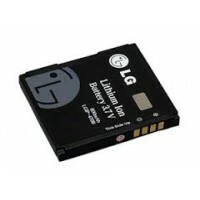 Battery LG LGIP-330GP 3.7V 800mAh Li-ion for LG KT520 without packing. .. Battery LG LGIP-550N 3.7V 900mAh Li-ion for LG GD510 Pop without packing. .. Original Battery LG LGIP-580AB 3.7V 1000mAh Li-ion bulk. ..